Full Programme List. See this below picture for more details about the upcoming event. 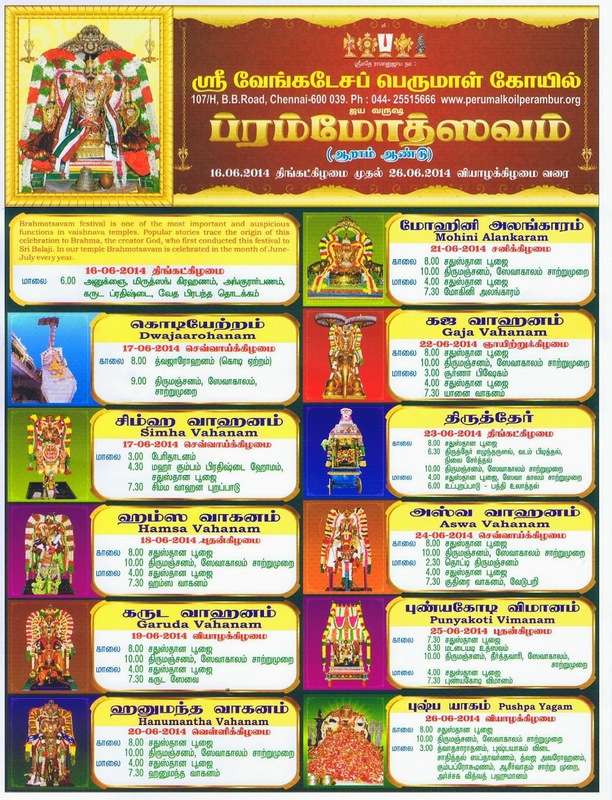 Click the above image to get the programme details of Perumal Kovil "Brahmotshavam - 2014". You can also log on to : Perumal Kovil in Perambur Chennai, India.